The two biggest home improvement stores in the world are Home Depot and Lowe’s. Home Depot is headquartered in Atlanta, GA and boasts 2,200 stores in the United States (including Puerto Rico and the Virgin islands), Canada, Mexico, and China. Lowe’s Home Improvement is headquartered in in Mooresville, NC and has 1,840 stores in the United States, Canada, Mexico, and Australia. Both stores are big-box, do it yourself stores open to contractors and consumers. They offer all items needed to build or upgrade a structure and each store offers a number of brands exclusive to each company. 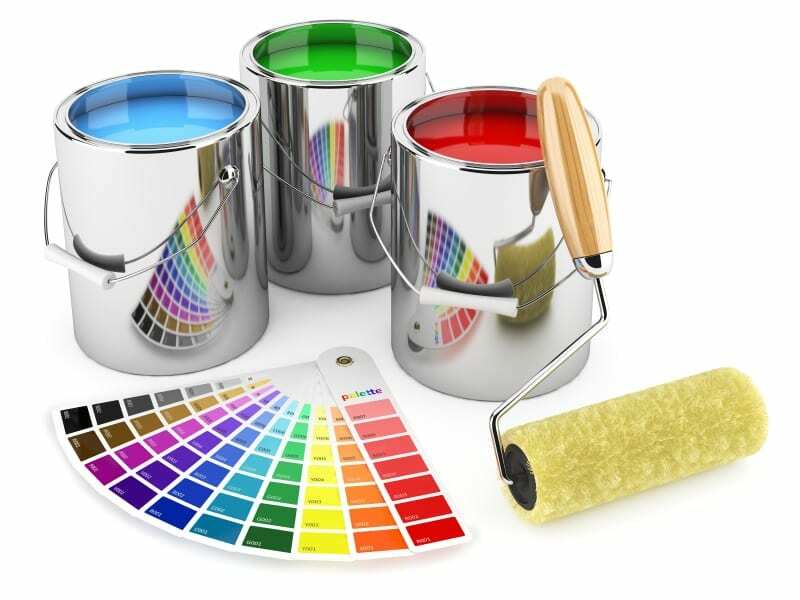 One of the biggest steps in building or upgrading a structure is painting it. Not only does one need to choose the right color of paint, they need to choose the right brand of paint. Here is a closer look at some of the “house brands” featured at Home Depot and Lowe’s. Two well-known brands of paint available at Home Depot are Behr Premium and Glidden Premium. The Behr line consists of primers, interior/exterior paints, and even concrete stains. The paint choices include Premium Plus (in Flat, Eggshell Enamel, Satin Enamel, Semi-Gloss Enamel, and Hi-Gloss Enamel), Premium Plus Ultra (in Matte, Eggshell Enamel, Satin Enamel, and Semi-Gloss Enamel), and Marquee (in Matte, Eggshell Enamel, Semi-Gloss Enamel, and Satin Enamel). When studying the manufactures’ Web site the reviews for each line and the finishes available in each line are all an average of five stars with just one product (the Premium Plus Ultra Semi-Gloss Enamel) receiving four and a half stars. There is no doubt that Behr makes a product customers are very happy with. Under the Glidden label one can find a series of both paints and primers. The mainly interior paint lines fall under Glidden, Glidden Duo, Glidden Premium, and Glidden Team Colors. As did the Behr, it appears that this line features multiple finishes including Flat, Eggshell, Satin, Semi-Gloss, and a Gloss finish which Behr does not offer. Though the price difference between these lines is rather slight the reviews for each line differ significantly with Glidden paints receiving three and a half out of five stars in comparison with Behr’s nearly flawless reviews. Popular brands of paint exclusive to Lowe’s include Valspar and HGTV Home by Sherwin Williams. Valspar offers its Reserve, Signature, Duramax, Ultra, and Allen+Roth lines in the stores. Per the Valspar Web page , the different lines are very well-reviewed ranging between four and five stars. These ratings are consistent with those found on the Lowe’s Web page for the same products. It does appear that Valspar offers different finishes similar to those of Behr and Glidden. The HGTV Home paint is fairly new to Lowe’s as it was just available in March of this year. This line offers 16 color collections with eight of the 16 exclusive to Lowe’s stores. The HGTV paint will feature 1,100 colors ranging from classic to those inspired by the channel’s designers. Collections available in the stores include Showcase and Ovation both of which boast a varying array of finishes. The reviews of the HGTV Home paint are comparable to those of Home Depot’s Behr. Are Dyson Vacuums Worth the Premium Price?